Season 2 of Shadowhunters: The Mortal Instruments will return in June to Netflix UK. The second run of the family fantasy drama, based on Cassandra Clare’s best-selling series of books The Mortal Instruments, premiered at the start of 2017, before reaching its mid-season finale last week with Episode 10. Now, fans will have to wait another three months until the show returns for another 10 episodes. Freeform has confirmed that Shadowhunter Season 2’s final half will premiere on Monday 5th June in the US, chronicling a growing divide between the Shadowhunters and the Downworld. The show will therefore return to Netflix UK from Tuesday 6th June, with episodes released within 24 hours of their US debut. The show, which hails from Freeform in the US, was snapped up as a UK exclusive by Netflix last year. It’s based on Cassandra Clare’s best-selling series of books The Mortal Instruments, which were previously turned into a feature film in 2013. The series follows Clary Fray (Katherine McNamara), who discovers on her 18th birthday that she comes from a long line of Shadowhunters – humans born with angelic blood who protect humanity from demons. 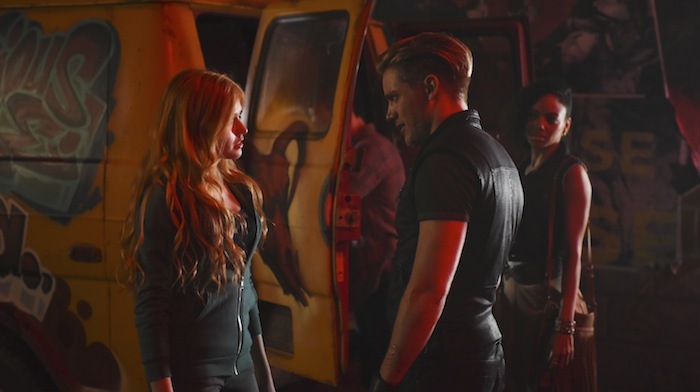 When her mother Jocelyn is kidnapped by a powerful foe from her past, Clary is thrown into a new life of demon hunting under the guidance of charming and headstrong Shadowhunter Jace Wayland (Dominic Sherwood). Now living in the Shadow World among warlocks, vampires, werewolves and faeries, Clary begins a journey of self-discovery as she learns more about her past and what her future may hold. 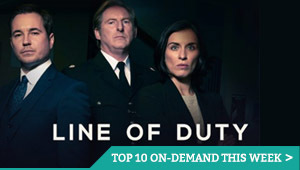 The 13-episode first season wasn’t met with the most positive critical response, with our reviewer describing the opening episode as “a dizzying, mystifying assault of largely nonsensical words”. Nonetheless, Freeform has ordered a 20-episode second run of the family drama, announcing the decision during a Facebook Live Q&A with cast members. Shadowhunters: The Mortal Instruments will be released exclusively on Netflix in the UK this January. The show is based on Cassandra Clare’s best-selling series of books The Mortal Instruments, which were previously turned into a feature film in 2013. The new 13-episode adaptation will premiere on ABC Family in the US in January 2016, but Netflix has acquired the first-run rights to the series for distribution in all other countries. Starting from Wednesday 13th January, the 44-minute episodes will arrive on Netflix weekly at 8.01am, within 24 hours of their American TV debut. The show will be added to Netflix US at a later date. 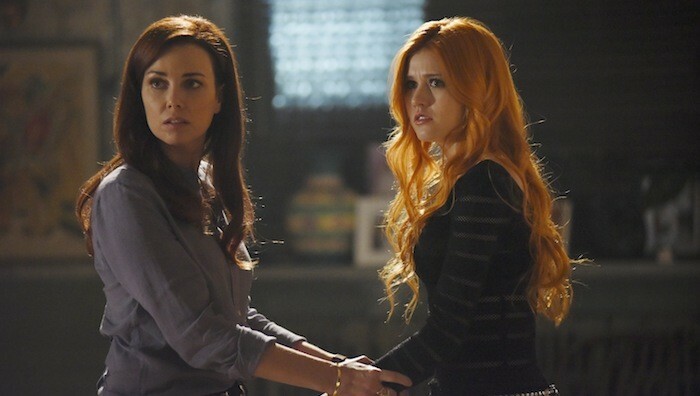 Shadowhunters follows Clary Fray (Katherine McNamara), who discovers on her 18th birthday that she comes from a long line of Shadowhunters – humans born with angelic blood who protect humanity from demons. 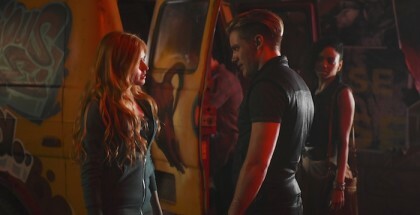 When her mother Jocelyn is kidnapped by a powerful foe from her past, Clary is thrown into a new life of demon hunting under the guidance of charming and headstrong Shadowhunter Jace Wayland (Dominic Sherwood). Now living in the Shadow World among warlocks, vampires, werewolves and faeries, Clary begins a journey of self-discovery as she learns more about her past and what her future may hold. McNamara and Sherwood are joined by Alberto Rosende as Simon Lewis, Emeraude Toubia and Matthew Daddario as Isabelle and Alec Lightwood, Harry Shum Jr. as Magnus Bane and Isaiah Mustafa as Luke Garroway. The series is exec produced by Ed Decter, Robert Kulzer, Bob Shaye, Michael Lynne, McG, Mary Viola and Michael Reisz, with Marjorie David and Margo Klewans on board as co-exec producers. The programme is produced by Don Carmody, Martin Moszkowicz and David Cormican. This is not the first time that Netflix has acquired the worldwide first-run rights to a show, with titles such as AMC’s Better Call Saul proving huge hits with subscribers. Only recently, Netflix also acquired the rights to CBS period drama Reign, with Season 3 set to resume after its mid-season break in January 2016. From Saturday 9th January, new episodes of the third season will arrive on Netflix UK every week, within 24 hours of its US broadcast.